With three wins in its final four games, including an 8-2 victory over Annapolis Area Christian on Wednesday, the Gerstell Academy baseball team has played its way into the MIAA B Conference baseball playoffs, which get underway on Friday, as the sixth seed. In the win over AACS, Reece Early went 2-for-3 with two RBI’s and run scored and Matt Szedlock went 3-for-4 with two runs scored. Max Friedman also reached base twice and scored two runs and Tyrin Hawkins added a pair of hits. Hawkings also pitched 1.2 innings in relief of start Matt Nowakowski, who allowed just one run and four hits in 5.1 innings, earning the win. With a 15-3 record, which includes a 12-2 win over Mount Carmel on Wednesday, Boys’ Latin finished in first in the regular season and earned the top seed for the playoffs. Glenelg Country and St. John’s Catholic Prep tied for second with identical 12-6 marks. GCS got the second seed by virtue of its tie-break advantage. The two teams split their head-to-head meetings and both split with BL. The Dragons gained the edge by sweeping fourth place St. Vincent Pallotti with whom the Vikings split. Pallotti (11-7) clinched fourth place with a narrow 9-8 victory over winless Park, on Wednesday, and Severn (10-8) is the fifth seed. Boys’ Latin and Glenelg Country will have first round byes in the double-elimination tournament and will open play on Monday. In Friday’s first round games, SJCP will host Gerstell at McCurdy Field in Frederick and Pallotti will entertain Severn at Panther Park in Laurel. The Pallotti/Severn winner will face Boys’ Latin on Monday and the SJCP/Gerstell winner will go to Ellicott City to face Glenelg Country. Friday’s losers will also face each other on Monday, at the home field of the higher seed, in the tournament’s first elimination game. 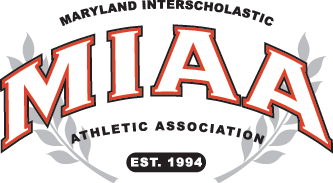 Action will continue throughout next week leading to the finals on Sunday, May 20th (1:00 p.m.) at Harford Community College. Should an “if necessary” game be needed, it will also be played at HCC on Monday the 21st. Below is the complete 2018 MIAA B Conference Baseball Tournament bracket.